This luxurious Hotel and Conference Centre offers a Full Service to all guests who frequent our Lodge. We have a fully licensed bar and restaurant which either serves A'la Carte or Buffet meals. We have fully equipped conference centres with professional services, including catering, to make any conference a success. Our Full Day conference packages are affordable inclusive of the venue, lunch, tea/coffee and most equipment. Contact our offices and our Wedding Coordinators will gladly assist you. We do morning and evening weddings and have 3 venues available. From 30 – 180 guests can be catered for. This Luxurious Hotel offers Bed and Breakfast and Wi-Fi for the discerning guest. Our 4 Star environment will suit International Guests or Business people. All rooms are en-suite with separate entrances, and set in luscious gardens, making a huge difference, giving the lodge a feel of tranquility. Our restaurant is fully licensed. The Mannah is a mere 5 kilometers away from OR Tambo Airport. Take the Pomona Road Off-Ramp on the R24 Freeway and turn to your right, we are 500 meters down the road to the left. From Pretoria again take the Pomona off-ramp and turn left, 500 meters down the road, we are on the left. We cater for weddings, company events, year-end functions as well as conferences. The 3 venues can cater between 30 – 180 guests. The lodge is privately owned and managed. *Executive rooms include spa bath, flat screen and air-conditioning. click here to go to ABIME website. click here to go to CQ Consulting website. click here to view different teambuilding options. 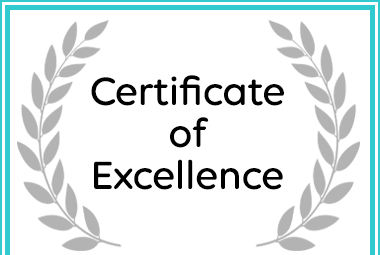 The Mannah Executive Guest Lodge and Boutique Conference Centre has received a Certificate of Excellence Award for Accommodation in Kempton Park. To view our premises contact 011 979 2820 for a complimentary breakfast or lunch.